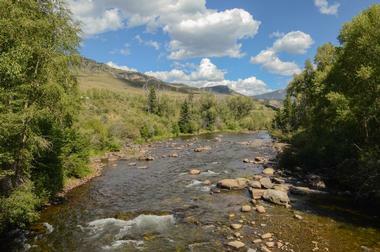 Breckenridge is a friendly mining town in the picturesque Rocky Mountains of Colorado. 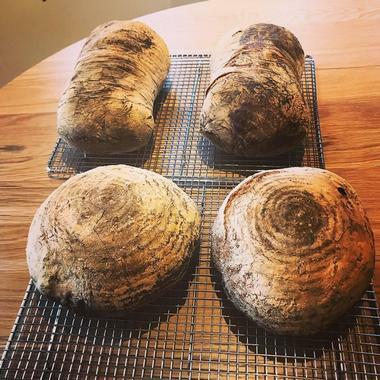 Known colloquially as "Breck" by the locals, the town is home to Colorado's largest historic district and there are many historic landmarks and buildings located throughout the town. Of course, many visitors flock to the town for the world-class skiing at Breckenridge Ski Resort, while others come to shop in the quaint, historical shops lining Main Street. 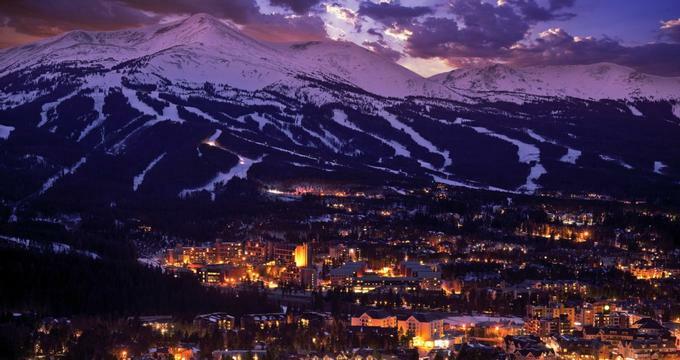 Here are the best things to do in Breckenridge, Colorado. Breckenridge's main street looks similar to the way it did a hundred years ago. Many of the authentic buildings are still there, and the facades of these buildings will remind visitors of a time when Breckenridge was part of the Wild West mining rush. 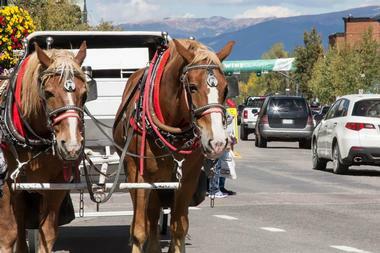 Historic Main Street Breckenridge features more than 200 shops selling a variety of items, many featuring locally produced or handmade items such as handmade soaps at Milagros of Colorado and authentic Navajo weavings at the Paint Horse Gallery. Several outfitters and ski shops offer equipment rentals and sales for those who wish to take to the nearby ski slopes. Many other apparel, souvenir, food, and general merchandise stores offer plenty of opportunities for shopping. 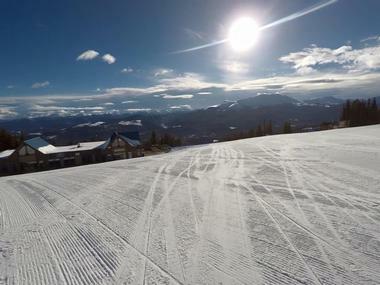 Breckenridge Ski Resort is an alpine ski resort located just to the west of the Continental Divide. 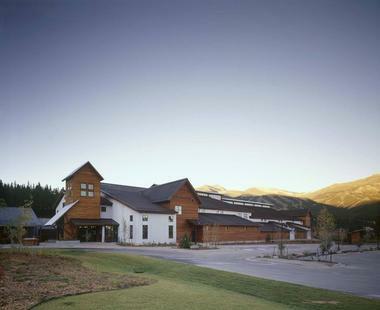 The resort is one of the most visited ski resorts in the country, while the park spreads across five peaks in the southern Tenmile Range. 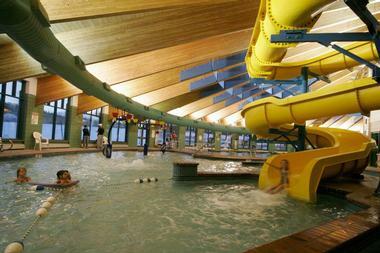 The peaks and ski terrain are accessible by 31 lifts, including four high-speed six-seaters. Breckenridge hosts the Winter Dew Tour each year, which is a premier action sports tour featuring many of the world's top action sports athletes. 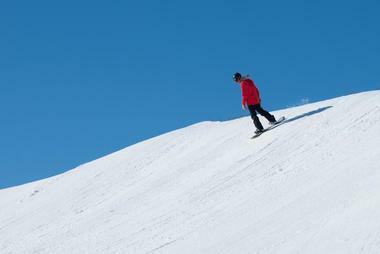 With something for everyone, Breckenridge offers ski and ride schools for beginners and guided back-country tours for very experienced skiers and snowboarders. Boreas Pass is a high mountain pass in the Rocky Mountains situated 11,481 feet above sea level along the Continental Divide. The pass was historically known as the Breckenridge Pass and served as a route for prospectors who crossed into the area during Colorado's gold rush. The pass was later used as a wagon and narrow-gauge railroad pass and exists today as a seasonal scenic drive. Visitors can see the remains of the Boreas Station that once resided at the top of the pass. 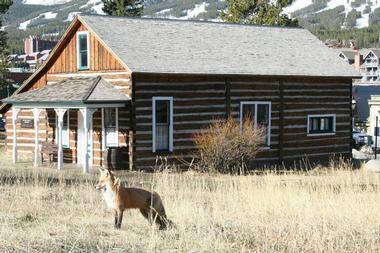 The pass is popular among mountain bikers and the Section House is often used as a base for winter sports enthusiasts. Breckenridge Ski Area's Peak 9 is the second oldest peak in the park. The bottom half of the peak is a learning area for beginners, while the upper level features intermediate level blue runs. The north face of Peak 9, on the side that faces Peak 8, features an area known as the North Chutes. The North Chutes are double black diamond-rated chutes suitable for the most advanced skiers. Peak 9 features multiple chair lifts to access the ski terrain as well as numerous restaurants for those who need to re-charge from a hard day on the slopes. With something for every level of skier and boarder, Peak 9 is a great place to spend a day on the mountain at Breckenridge. McCullough Gulch Trail is a 2.9-mile trail located near Blue River, Colorado, in the White River National Forest that receives a moderate amount of traffic. The trail travels out and back along the same path and even features a lake. It has a moderate difficulty level, with an elevation change of 951 feet. The trail is pet-friendly, so it is a popular place to walk your dog. The multi-use trail is best used during warmer months, from April to October, but is frequented by nordic skiers and snowshoers in the winter. Sights along the trail include numerous birds, waterfalls, alpine forest, wildflowers, and other wildlife. 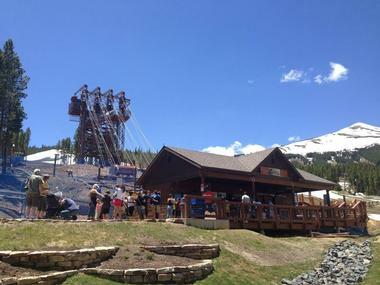 The Peak 8 Fun Park is a summer adventure destination on Breckenridge's Peak 8 that is accessed by a scenic gondola ride up to the peak. Activities include an elevated roller coaster track known as the Breckenridge Gold Runner Coaster as well as three alpine slide courses, a bounce house, a climbing wall, and a bungee trampoline. The park also features the largest human maze in the state and a picturesque miniature golf course. 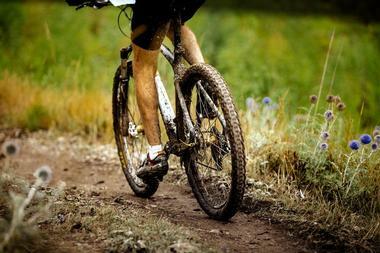 Mountain bikers can haul their bikes up to the top on a lift and enjoy the exhilarating ride back down. The Kids Zip Line and Ropes Course gives young adventurers an adrenaline-pumping thrill. The Fun Park is open from June to September. The Breckenridge Heritage Alliance is a non-profit organization dedicated to preserving the history and heritage of Breckenridge. They maintain many historical sites and museums and provide a variety of tours of the area. The Alliance offers several walking and hiking tours, with tour options including historic walking tours, holiday tea tours, haunted tours, saloon tours, and many more. Several historic hiking and snowshoeing options are also available as well as a Ski Through History Tour. 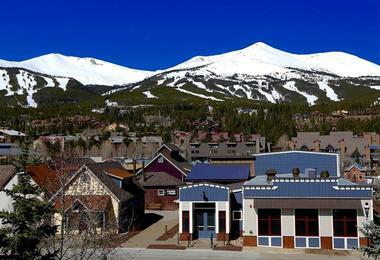 The Brexpedition tour is designed to give visitors a good overview of Breckenridge, including historical sites, popular restaurants, souvenir shops, and much more. 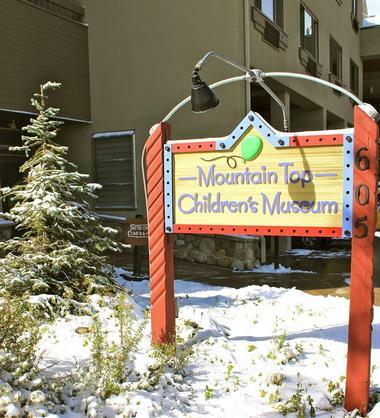 The Mountain Top Children's Museum is an interactive educational museum that promotes learning and fun through hands-on exhibits and programming. The museum is designed for children aged 10 and under in the company of their families. Museum exhibits include a Rocky Mountain Wildlife Exhibit that teaches all about animals native to Colorado and the Rockies and there is a small planetarium and play "lab" where kids can experiment with mixing colors. The Kidstruction Zone gives kids the chance to build while dressing the part with hard hats and aprons. There is also a creative arts section and a stage for kids to express themselves. The museum features a dedicated area for children aged 2 and under. Good Times Adventures is a long-standing adventure outfitter and tour company offering dog sledding and snowmobiling tours based out of their office near downtown Breckenridge. The snowmobile trips are suitable for beginners while also offering a fun time for experts on the area's various levels of trails. There is an open practice area for visitors to get comfortable with the snowmobile and the trips also include the advice and leadership of experienced tour guides. Dog sledding tours at Good Times give visitors the opportunity to actually drive a team of Siberian huskies through the surrounding wilderness. Both snowmobile and dogsledding tours offer an exhilarating way to see the area's beautiful scenery. Breckenridge Nordic Center is a cross-country skiing and snowshoeing destination just a few minutes away from downtown featuring more than 1,400 acres of groomed trails. Experienced visitors can purchase a trail pass to access the trails and the center offers gear for rent and purchase, or you can bring your own if you have it. For beginners, the center offers a variety of cross-country ski and skate ski lessons in group, semi-private, and private formats. Snowshoes are also available for rent and guests can participate in a guided snowshoeing tour if they so choose. 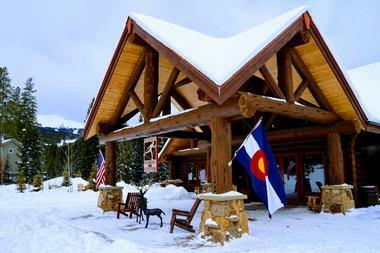 The Breckenridge Nordic Center offers delicious homemade food and hot and cold beverages in its restaurant. Sawmill Reservoir is a scenic lake at the end of a trail. The trail also circles the lake and is a stunning place to take photos. Benches line the trail for those who need a break or just want to sit back and take in their surroundings. The trail getting to the park is family friendly and an easy grade, while the trailhead is located just beside the Snowflake Lift. The trail runs alongside a stream as it travels to the top. The terrain is smooth and can be easily hiked in sneakers. Catch-and-release fishing is allowed along the stream and in the reservoir. 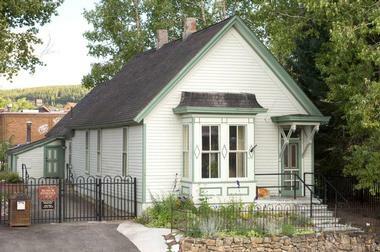 The Barney Ford Victorian House is a home museum honoring escaped slave Barney L. Ford. Ford was born into slavery but was very driven to live a different life. He learned to read from his mother, escaped from slavery, and became a successful businessman and civil rights activist and leader. The home has been restored to feature its original Victorian style and furnishings and each room in the museum has a different exhibit related to the time period and each represents a different stage in the life of Ford. 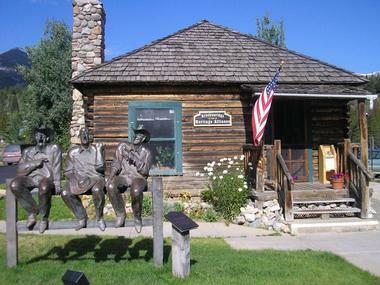 The home is open all year round and is conveniently located very near the Breckenridge visitor center in downtown. 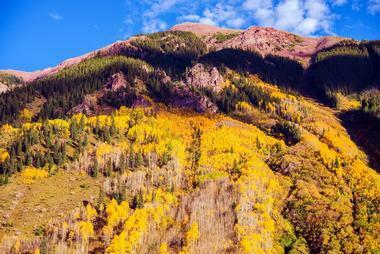 The Spruce Creek Trail is a very popular 6.2-mile trail rated moderately difficult that gains 1,791 feet in altitude. The best time to visit is from April to October, which is also when the trail has the most traffic, however it is a beautiful snowshoeing destination in the colder months. The trail follows a stream for part of its length and features a straight section that connects to a loop. At the top, it's possible to connect to other trails. The trail can be accessed by two separate trailheads, whereby the upper trailhead is only accessible by 4-wheel drive vehicle. The Breckenridge Recreation Center is a 69,000-square-foot community sports and activity center that features sports facilities such as a gymnasium, indoor tennis courts, and a racquetball court. The center also offers a wide range of exercise equipment, including cardio machines, free weights, an indoor track, aerobic and dance studios, and more. The aquatic section of the facility features a lap pool and a community swimming pool with a water slide, a sauna, spas, and a shop that sells swim suits, amongst other things. The centers amenities are not limited to the indoors: The large outdoor area offers yet more tennis and basketball courts as well as soccer and softball fields, a rugby pitch, and a lighted skateboard park. Backstage Theatre is a local theatre company with a level of quality that one would expect to see in a much larger town. The theater offers a busy schedule with many shows throughout the year ranging from the classics to Broadway musicals, children's performances and the work of local artists. The venue is intimate and features good views of the stage from any seat. It has been remodeled with comfortable and modern furnishings and features cutting edge audio equipment that allows guests in any part of the room to hear clearly. Peaks Trail is a long alpine trail that is 15.5 miles long and is rated as difficult, gaining 1,971 feet in elevation overall. The trail is somewhat popular, especially the lower sections. 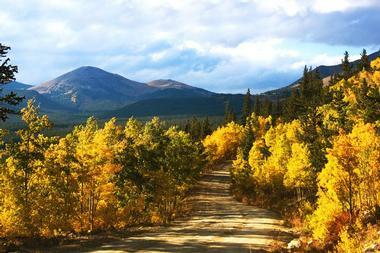 The trail can be accessed from either Frisco or Breckenridge and is an out-and-back trail. Breckenridge to Frisco features more downhill sections than the other way around. The multi-use trail is popular for mountain biking, hiking, birding, cross-country skiing, trail running, backpacking, and more. The trail is dog friendly and features include creeks, beautiful rocks, wildflowers, scenic views, and the possibility to see wildlife, including moose. The Blue River Recpath travels 7.5 miles between the towns of Breckenridge and Frisco, passing through the beautiful Blue River Valley and along Highway 9. The trail passes both the Dillon Reservoir and the Blue River and trail users can enjoy scenic views of the Tenmile mountain range in the distance. The trail is paved for its entire length and most of the trail can be biked. It features only a bit of a climb in elevation but the perceived difficulty may be amplified by the high elevation if you aren't used to it. From the Blue River Recpath, visitors can connect to other trails, such as the Dillion Reservoir Recpath and the Tenmile Recpath. High Line Railroad Park is a railroad heritage park in downtown. The centerpiece of the park is Engine No. 9, which was one of two that rode the narrow-gauge track through Colorado's difficult and dangerous terrain. The train stands as a reminder of Colorado's railroad and mining past. Visitors can see a restored rotary snowplow that is one of only five known to exist today. These snowplows were used to clean the tracks from the many feet snow that fall in Colorado's mountains in the winter time. 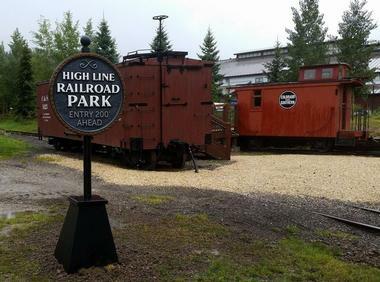 Additional exhibits include a flatcar exhibit, a boxcar diorama, and a replica of a C&S caboose. 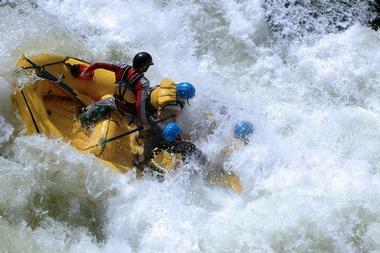 Arkansas Valley Adventures is an adventure tour group and outfitter company that offers several experiences. The center specializes in whitewater rafting trips, offering trips suitable for a wide range of visitors on eight different rivers throughout Colorado. Beginners and families may want to start with a beginner or intermediate level trip. However, they offer something for the true thrill-seeker as well with physically challenging Class V rapids on their Advanced Plus river trips. The company offers zip lining at a few of their locations. Some of the rafting trips can be combined with fly-fishing, horseback riding, hot-air balloon rides, and other adventures for even more fun. The Stephen C. West Ice Arena is a public ice skating rink in Breckenridge that generally offers public skating and hockey hours each day. In addition to free-skate time, the arena offers group and private lessons for all skill levels. The center has on-site equipment rentals as well as a well-stocked pro-shop. In addition to ice skating, the arena offers a variety of ice sports such as hockey, broom ball, and curling. They also offer adult hockey leagues for the community. Several times a year they have Disco Skate Nights, which are a lot of fun for the whole family. During the summer, the center also operates a miniature golf course. Quandary Peak is the highest summit in the Tenmile Range of the Rocky Mountains. The mountain is located within the White River National Forest to the south of Breckenridge and the summit can be accessed by a trailhead just north of Hoosier Pass. The peak is one of the more popular fourteeners to climb in Colorado because it is relatively easy. In addition to hiking, the trail is a popular destination among backcountry snowboarders and skiers. In addition to the traditional route, there are several other advanced mountaineering routes up the other sides of the peak. One of the most well-known is called Cristo Couloir. This ascent route may be attempted by very experienced mountaineers and the descent is often done on skis. The Edwin Carter Discovery Center is a museum and former home of Edwin Carter, who came to Colorado in the mid-1800s to search for gold. He was greatly affected by the negative impact that mining had on the environment, and became very interested in Rocky Mountain wildlife. He became a taxidermist and curated and maintained a collection of wildlife specimens and at the time of his death had more than 3,300 specimens in his collection. Many of these items are now on display in Denver's Museum of Nature and Science. However, a few of them remain in the home today. The center honors the life of Carter and also features hands-on exhibits including a taxidermy workbench. Additionally, the center has a theater and a room dedicated to children. Country Boy Mine was once one of the largest gold mining operations in Breckenridge and is also one of the town's most famous gold mines. The gold mine is no longer in operation, but is open to visitors for tours. The tour travels more than 1,000 feet into the mine and gives visitors the opportunity to imagine what it might have been like to work in the mine. 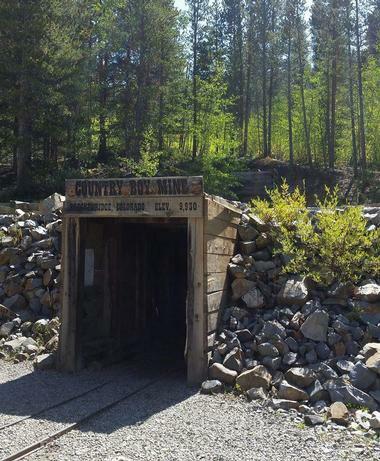 During your visit to the mine, you can also pan for gold, feed and pet burros, and slide down a 55-foot ore chute. The mine has several exhibits and old mining equipment on display. There is a general store on site selling old fashioned candy, toys, books, and many different rocks. 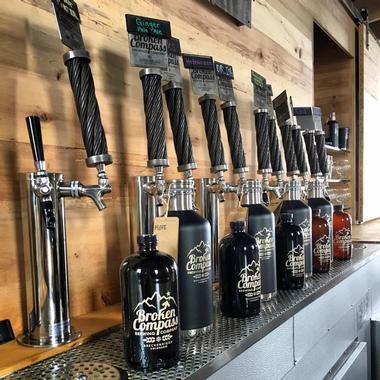 The Broken Compass is a Brewery and Tap House with an open and welcoming atmosphere and the chill vibe that is so typical of Colorado. The brew house serves beer and only beer, although the tap house stocks several classic flavors of beer such as the Helles and the Irish Red. In addition, they serve several unique brews like a Chocolate Coffee Stout and a Coconut Porter that gets rave reviews. The Broken Compass is very dog friendly, so feel free to bring along your four-legged pals. Occasionally, food trucks set up outside to serve delicious food to go along with your beer. The brewery sells Broken Compass branded apparel, gear, and other merchandise in their in-house and online store.